The Vietnam Immigration Department modified their Visa and Immigration policies in the last update on 19th June 2017. This most recent update allows French Citizens to visit and stay in Vietnam for up to 15 days without a visa. So, you do not have to apply for a visa if you plan to stay for not more than two weeks, but you still have to carry your passport for identification, as well as to prove your nationality. The Visa Exemption for French nationalities, however, cannot be availed continuously to stay for an extended period (beyond 15 days). Once the initial exemption of 15 days is over, you have to wait for another 30 days before you can get access to this provision again. You will not get the visa on time if you only apply it at the end of the 15-day exemption period, in which case, you will end up being vacated from the country to get a visa before you revisit. This implies that, as a French Citizen, you will HAVE to apply for a visa eventually as your visit progresses. To ensure that you get the right information, and get your visa application at the right time, check out a reliable Visa Service that will help you apply the right kind of visa. Once you start applying for a visa, you will need to provide certain documents and information to get your visa approved. You will have to submit the following information in your application process. • Submit your name with the same spelling with which it appears in your passport. The order of the first name and surname can be interchanged. • Enter your date of birth in the Vietnamese format, i.e. DD/MM/YYYY. • Mention that you are a French Citizen, just as it does on your passport. • Enter your passport number exactly as it appears on your French Passport. This will help you avoid any confusion or complications later in the application process. • You also have to submit your Date-Of-Arrival during the application. Along with your valid documents, these details can be used by your Visa Service to prepare your application process and get your Approval Letter. 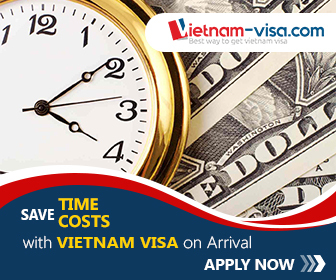 If you are ready to see Vietnam, click here to get your Visa today!